It’s been a rough summer for the Arctic sea ice. Extent values started off at record low levels during late spring, melt ponding and warming ramped up during early June, and July saw the ice pounded by intense high pressure cells located on the Greenland side. Anomalously warm water invaded from almost every side. The Kara saw extreme sea surface temperature warming after an early ice recession, a flood of warm water from rivers, and a powerful albedo flip to dark ocean from white ice. The Chukchi, Beaufort, and East Siberian seas saw a continued influx of anomalously warm waters from the Pacific side — this flow was fed by the powerful and persistent blobs of warm water in the Northeast Pacific. A heat invasion that has been ongoing for that region since at least Winter. And in North Baffin Bay a pool of anomalously hot water has combined with an extended period of warmer than usual air temperatures to deliver heat to the remaining thick ice along the Northern Greenland and Canadian Archipelago boundary. By August, a series of storms had invaded the Beaufort, Chukchi and East Siberian Seas. Kicking up 20-35 mile per hour winds, they pushed 2-7 foot swells out through an expanding shattered ice zone. Though the storms cooled the air, they tapped heat from the ocean itself through the process of surface churning and the larger dynamic of cyclonic Ekman pumping. All this motion and heat energy created a very unfavorable environment for sea ice — essentially melting the ice rafts out from the water line on up. Large pieces of multi-year ice were smashed together like rocks in the late 20th Century video game — asteroids. The ice, ground into ever-finer bits by these storms, then felt the heat of the moving waters and suffered an ongoing dissipation. The result is that the Beaufort ice is being steadily hollowed out. A bank of thicker ice floes is expanding into the warmer waters of the Chukchi and near-shore Beaufort as it melts. This leading ice edge, though frail, is denser than the interior ice for scores of miles where three large polynyas are in the process of joining into one. 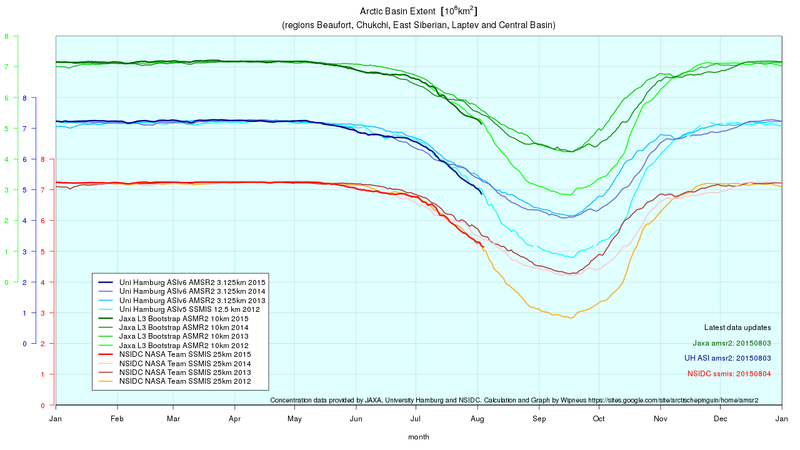 If this keeps up for too much longer, the next ten-to-twenty days will see the Beaufort ice and the Chukchi boundary ice practically wiped out. 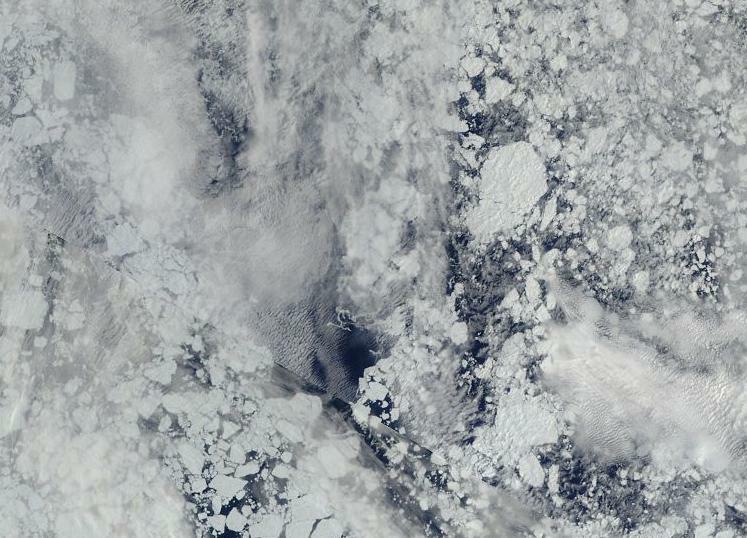 Meanwhile, thinned ice and open water is gradually invading the Central Arctic past the 80 North Latitude line. Heat from the Atlantic side is eating away at the ice edge there. Laptev melt is biting in beyond the 80 North line. And the Beaufort storms are basally melting and dispersing the Central Arctic boundary ice. As a result, the monitors are showing sea ice that looks to be in a very unhealthy state overall. The Northeast Passage is open and the Northwest Passage appears to be just a week or two behind. 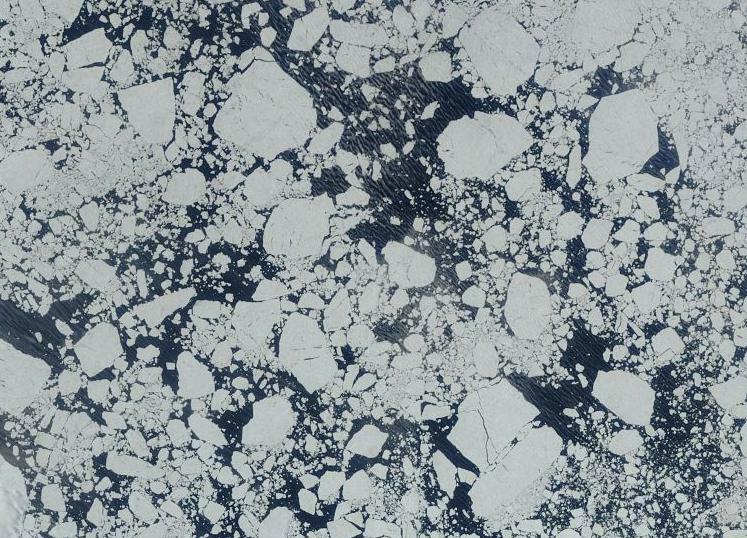 As a result of all this punishment, the sea ice monitors are looking increasingly bleak. 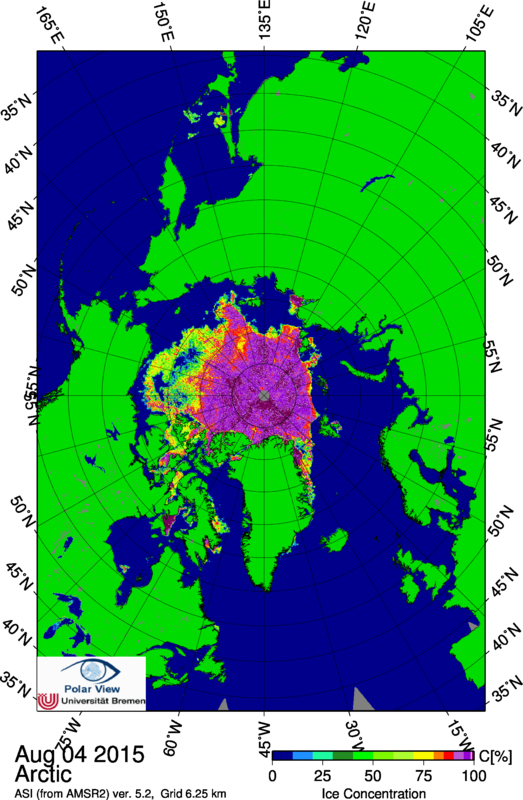 Japan’s JAXA extent monitor is showing sea ice boundary measures in the same range as third lowest year on record — 2011. The National Snow and Ice Data Center measure is not too far behind at just a hair above 2011 and 2010 — now tracking at 5th lowest extent on record (a loss of two places since last week). These extent measures are swiftly catching up to the Cryosphere Today area totals that are now also just a hair above 2011 at 4th lowest on record. The area measure is also interesting in that overall area is at 4.13 million square kilometers — which is now starting to dip below the 2005 line. But perhaps most concerning of all is the fact that sea ice volume, which showed a brief bounce back from 2012 record lows during 2013 and 2014, is now re-entering decline. 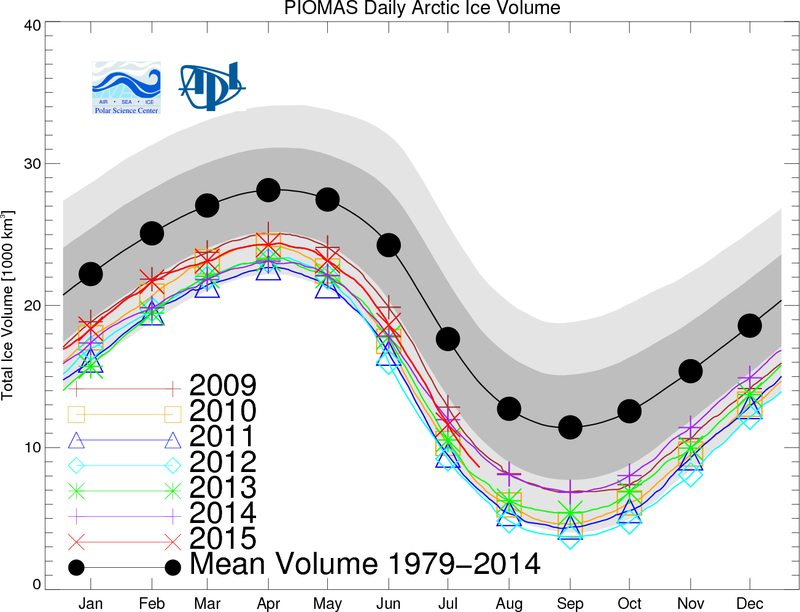 For According to PIOMAS, the ongoing punishment we have visibly seen in the form of high atmospheric temperatures north of the Canadian Archipelago and in remaining thick ice being swept into the billiards pool that is the Beaufort has pushed that volume measure well below the 2014 line and back toward recent record low years. It’s a steep nose dive. One that will start to challenge the upper boundary of record low years without a slowing in the rate of losses soon. With a month and a half of melt still to go, we could see a softening in this high rate of loss and an adjustment that brings use closer to 2014 for end season. Or we could see the steep rate of loss continue to challenge the 2011 boundary in some measures and possibly even break lower to challenge 2007. But given the melt momentum coming out of July, it is very unlikely that measures return to 2014 levels. As a result, it looks like the summer of 2015 is wiping out the post-2012 sea ice bounce which, given the massive pace of human-forced warming and failing to see large enough melt from Greenland to counter that trend in the Arctic, appears to have been inevitable. Looking forward there appears to be four factors that will play out their final hands for 2015 melt. The first are those very warm sea surface temperatures we mentioned earlier. The second is the fact that this is an El Nino year featuring a very warm Northern Pacific and a strong northward heat transport through the Canadian Archipelago and Alaska. The third involves the weak sea ice and persistent storms in the Beaufort, Chukchi, and ESS. And the final major factor involves the strong advancement of melt into the Central Arctic and the higher likelihood that the below 80 North boundary ice will be wiped out in the coming weeks. Abnormally warm sea surface temperatures plus the atmospheric feedback of El Nino hint that more energy to melt ice may remain in the Arctic for longer than during a typical year. Current transport of that abnormally warm water into the Chukchi, East Siberian Sea, and the Beaufort will continue. And the El Nino tendency to push warm air up over Alaska and the Bering will be reinforced by the strong warming in the lower Chukchi. These factors will tend to extend late season melt. Over on the Atlantic side, a similar dynamic is starting to come into play. Warm waters in the Laptev and Barents are increasingly being driven against the edge ice past the 80 North boundary line by warm southerly winds and through the action of storm systems invading the upper North Atlantic. Over the past few days a pattern has emerged in the models indicating an influx of these storms past Iceland and into the Barents near Svalbard. Swell propagation and warm water driven north will have a deleterious effect on the ice there. As storms rise up from the North Atlantic, storms are predicted to continue to plague the ice in the Beaufort, Chukchi and East Siberian seas. According to GFS model runs, this tendency continues through at least the next five days. And with warm air firmly in place over Alaska and the Chukchi, while cooler air sits over the Beaufort, the gradient necessary to fuel these storms will remain in play. Ocean state forecasts pick up seven foot swells in the East Siberian Sea tomorrow, nine foot swells in the Chukchi on Friday, and 3-4 foot swells ranging the thick ice billiard room in the Beaufort on Sunday. Swells in the Laptev open water are also predicted to hit 6-7 feet over the coming days. Stepping back and looking at the overall distribution of the sea ice, we find that much of the beyond 80 North region is invaded by melt. 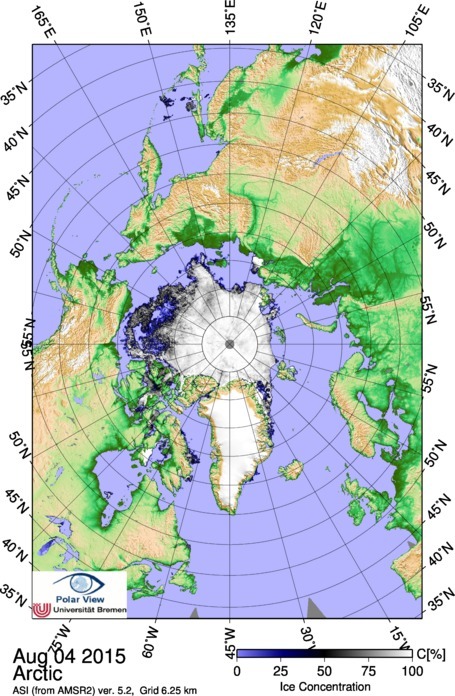 A substantial amount of weak boundary ice remains in the Beaufort, the Chukchi, the East Siberian Sea, near the land regions of the Laptev, and within the waterways of the Canadian Archipelago. Ice in these outlier regions is traditionally more vulnerable to rapid melt and it is doubtful that much of it will remain by end season. Meanwhile, the beyond 80 North melt invasion is substantial to the point that we are now very close to the 2012 melt trend line in that key region. 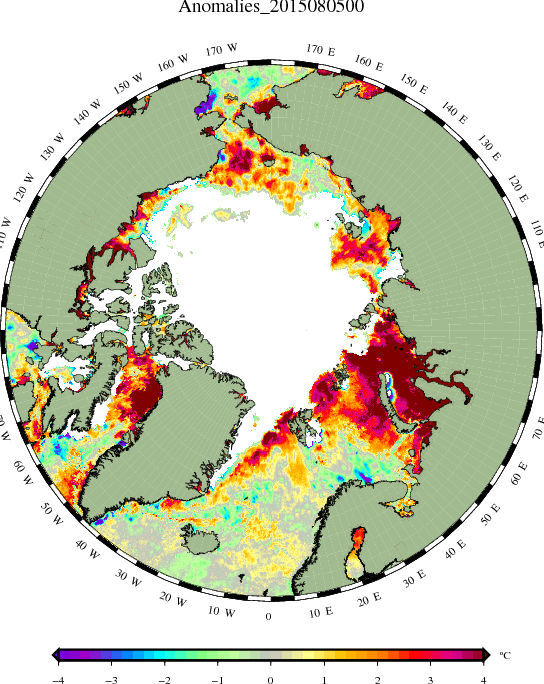 In fact, pretty much all the interior Arctic Ocean seas show extent values tracking near the 2012 record low line. These low Arctic Ocean values imply a deeper vulnerability to hitting lower end season totals. A vulnerability the overall measures, so far have missed. Reduce everything to pursuit of money and Koch is the product. A man with a spinning moral compass, with no rationality based in fact or scientific understanding, and whose political views are finely honed and optimized to support only the policies that defend his massive accumulation of wealth and power. He has sacrificed not only reason, but he would devour our children, the children of all creatures in his insane pursuit of profit by emitting industry. And every effort, every statement he makes is bent to that end. 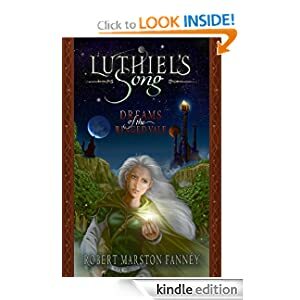 Him making money by keeping us captive to fossil fuels and chained to a future in which life in a toxic hothouse is violent, desperate, and short. The man is more machine than anything else. A terrible cannibalistic monstrosity whose heart and brains have been gutted out and replaced with wads of oil soaked cash. I hadn’t come across Dutkiewicz’s study before and am off to find it. Very well done article by Rolling Stone. If we see massive, rapidly expanding dead zones in the ocean, then all bets are off. Then it’s basically the Permian on fast forward. So the Dutkiewicz study found that under predicted ocean acidification of business as usual fossil fuel burning the whole phytoplankton ecosystem is turned upside down. Some species die off, some species thrive. This has major implications for both the ocean carbon sink and the base of the food web. If plankton are less numerous and if beneficial plankton are wiped out we end up with far less biodiversity in the oceans, less in the way of carbon uptake by the oceans, more dead zones. The study is just one part of the overall impact to the ocean system. But it’s rather sobering. If confirms what we know about the larger picture. Adding CO2 and ghg to the atmosphere results in both warming and physical changes that make the oceans far more toxic and far less able to support life. Have to agree here. Peak conventional oil just meant fracking and tar sands. After that it’s brown coal gasification and methane hydrates. That way, you end up with 20,000 billion tons more of the stuff in the air. Insanity only begins to describe it. Better just to peak it all early and voluntarily. 😉 you never can really tell how far a ripple may go. If interested , C-SPAN has a 0805 National Press Club talk by the US Coast Guard Commandant. At about the 40 min. mark he talks about BP oil blowout and various aspects of USCC involvement. At about 50 min. the subject climate change strategies and responses, and on to Russian militarization of the Arctic. I listen to these type of talks to hear what and how it is said, terms and contexts, etc to get a clearer idea of the subject. Thanks for posting this, DT. As ever, it appears the US Military is far better at dealing with the issue of climate change than more than half the people in Congress currently..
Observations show that glaciers around the world are in retreat and losing mass. Internationally coordinated for over a century, glacier monitoring activities provide an unprecedented dataset of glacier observations from ground, air and space. Puerto Rico’s deepening drought – one of the worst in its history – led U.S. officials to declare six more of the island’s municipalities as natural disaster areas and extend water restrictions to more communities. The disaster already is affecting 2.5 million people and now, several areas in the island will receive water only one out of every three days as the U.S. territory’s main reservoir continues to shrink. The government plans to shut down tap water in people’s homes for days at a time. News wise, when we hear the term ‘drought’ — substitute ‘climate change’ for an accurate portrayal of these events. ‘Drought’ implies an episode, or a timely deviation likely to right itself — when in fact, we are in a long term ‘saga’ of survival. It’s not drought, but a permanent drying-out or even desertification. The banksters should just write off that US$75 bn in Puerto Rican debt. I like: rapid “desertification” in real time — as it happens. It’s happening so damned fast. Strong piece in the Rollingstone , how many wake-up calls do we need ? The voices have to be loud enough to crack the pillars in the halls of power. We’re not there yet. But we grow stronger by the day. Robert, I don’t have as much time to be involved in discussions as I would like, but I would just like to say how much I value your articles. 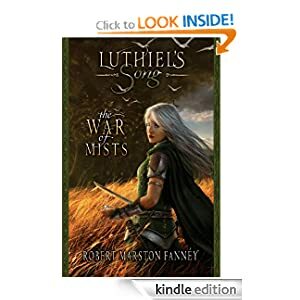 They are well researched, and well written. We’re more than happy to have you when time allows, Paul. And I promise to keep doing my best for you! Well, the ice in my Sonic ice maker is still growing, so there. Cheers, Andy. And thank you for your fantastic work!! To everyone here, Andy’s unique videos illustrating the stunning multidecadal sea ice decline have been featured all over the web. They have been a critical tool in communicating the terrifying scope of sea ice loss to the public. A key to spreading awareness of our emerging situation. Once again, wholehearted thanks for your amazing efforts. You’re welcome Robert – it took hundreds of hours of custom programming using languages more suitable for web and linux system administration, but worth it if it helps to move the needle! Thank you for the incredible video, Andy! As Robert said below, your videos are crucial tools for helping the public to visualize the scale of what’s occurring. Very important and fantastic work. I don’t expect to see a record low this year, and I think 2007 will hold onto the No 2 spot. So I’m expecting the indices to come between Nos 3 and 5. However, this not only wipes out any fantisized recovery, but will, IMO, further weaken the pack. Much of the oldest, most refractory ice from above Greenland and the CAA is now being destroyed in the Beaufort Sea. This leaves the pack very vulnerable for the next two years, when it will receive the full fury of a super El Nino. Maslowski’s prediction of 2016 +/- 3 years is looking quite possible, with 4 years yet to go. I think that’s the most likely scenario. The big hits this year are area and volume. So probably preparation for 2016-2017. As people hope for El Nino, a few things to remember that there is negative fallouts. Tropical conflicts double during El Niño years. … finally a reminder of what 97/98 brought us. It rose out of the tropical Pacific in late 1997, bearing more energy than a million Hiroshima bombs. By the time it had run its course eight months later, the giant El Niño of 1997-98 had deranged weather patterns around the world, killed an estimated 2,100 people, and caused at least 33 billion [U.S.] dollars in property damage. Now that’s a good comprehensive report to keep in mind. So say we get a monster El Niño that doesn’t crush the RRR and the blob. What happens? The energy has to go somewhere. And, in this case, it goes north — directly into Alaska and the Arctic. If fires that energy northward at a 90 degree angle. That energy tops the ridge and then goes plunging down into the trough in the east. It slams into Gulf Stream heat and moisture and generates severe coastal storms for the Eastern Seaboard. In the models, Florida is especially hammered but states from the Gulf to the mid Atlantic are under the gun. And then these bombs go raging eastward across the ocean with England in the firing line. It ‘s an intensification of some of the pattern we’ve seen over the last two winters. That is, if the west coast block doesn’t fail as some of the longer range forecasts are hinting at now. And in ’98 we got sooo many hurricanes; one was Georges that threatened to take New Orleans out and none of the politicians did anything. And now, maybe this next year we’ll see more than we saw in 2005! Hopefully none of them will have New Orleans’ name on it, but I’ll be ready to leave this town at the drop of a hat! El Niño is an extreme weather amplifier, for the most part. Strong El Ninos also give us a peek at what the next decade may look like as it tends to explore new extreme high temperature boundaries. Features like the hot blob and the RRR can’t really be disassociated from this El Niño as they were part of its build up, for example. Californians may well hope for some strong rains. That may have been the silver lining for this event but that’s looking less likely in the forecast. And, as we saw recently with India, if the rains do come, they’re more likely to be extreme given the current atmospheric heat and moisture loading. If this El Nino doesn’t break the RRR, then I think we are in a Brave New World of global warming. The results would be dire as California’s agriculture would be much diminished and its long term habitability might come into question. More people and less habitable land is just what the world needs at this time. At one time, I desighned and built electronic circuits for a living. The temptation was always there to squeeze a little more out of the product. There were times when it could be done, but I also recall little tweaks that ended in smoking components on the board. I had been a little too greedy and had to settle for less, but reliable, performance. It was cheap to replace a resistor or two, or even a power transistor. Unfortunately, doing the same to the Earth is not so easily rectified. We do not have drawers of new countries that we can use to replace those we have destroyed through our greed. Lately, Greenpeace has been spot on with their actions. So kudos to them for continuing the excellent work. A heat wave that has already killed dozens and sickened thousands in Japan reached ominous thresholds Wednesday as new heat records for intensity and duration were set in Tokyo and other Japanese cities. Tokyo reached 35.1 degrees Celsius (95.2 degrees Fahrenheit) Wednesday, marking its fifth consecutive day of highs at or above 35 C (95 F). According to the Asahi Shimbun newspaper, this set a new all-time record for the most consecutive days at or above that threshold since records began in central Tokyo in June 1875. The city had already reached 35.1 C by 10:53 a.m. local time Thursday, according to preliminary JMA data, extending the streak to a sixth day. God the Pacific is a mess. A typical El Niño pattern would bring overall cooler if stormier weather for Japan during this stage. Yet we still have record heat. This thing isn’t done by a long shot. Going exactly as he had forseen. SEATTLE (AP) — A vast bloom of toxic algae off the West Coast is denser, more widespread and deeper than scientists feared even weeks ago, according to surveyors aboard a National Oceanic and Atmospheric Administration research vessel. This coastal ribbon of microscopic algae, up to 60 kilometres wide and 200 metres deep in places, is flourishing amid unusually warm Pacific Ocean temperatures. It now stretches from at least California to Alaska and has shut down lucrative fisheries. Shellfish managers on Tuesday doubled the area off Washington’s coast that is closed to Dungeness crab fishing, after finding elevated levels of marine toxins in tested crab meat. Grrr. From Lake Erie to the Pacific to the North Atlantic. The stuff is everywhere. Eerie is right. Somebody with money should figure out to harvest all these algaes and harvest them for biofuels. It sure as heck is a better idea than continuing to burn fossil fuels. Not to mention saving a lot o’ sea critters’ lives. coupled with expanding ‘dead zones’ and more stratification of the ocean by temp (sardines and krill are moving), I can’t see this getting better before it gets much worse. The climate systems at play here are just to massive to ‘turn on a dime,’ or respond to our minuscule efforts, as we continue to change the chemistry of our planet. As Mr. T once said: “I pity the fool…” well, that pity for me, is turning to disgust. A different perspective on the only world that we have to live on. For the second summer in a row, a tropical cyclone is headed toward Hawaii, a relative rarity for the island chain. But in a warming world, the 50th state could face more tropical storms and hurricanes, some research suggests, with one new study finding that climate change upped the odds of last year’s spate of storms. Though Hawaii is a tropical island, it doesn’t have the same risk of being hit by tropical cyclones (the generic term for tropical storms, hurricanes and typhoons) that islands in the Caribbean or Asia have. That’s because it is typically surrounded by relatively cold ocean waters and is in a region with wind patterns that tend to produce a lot of what is called shear, or a difference in the speed or direction of winds at different heights in the atmosphere that tend to rip apart a storm. I’ve noticed that in El Nino years there never was a record Arctic melt. So when early on this years El Nino was hotting up, I wasn’t expecting something big in the Arctic. And while this years Arctic melt is pretty big, it’s simply because the Earth is hot, nothing else. My feeling is that it takes time for the heat of an El Nino to move North, something like one or two years for the weather systems to develop in a record melt. So in that line of thought I’m expecting 2017 or 2018 to beat 2012 by some margin, if my hypothesis is right. Now and then we do have a record melt year during an El Nino year. But not since 2005 (which was the record low year before 2007 became the new record low year). Typically, it takes about two years for the ocean gyres to spin up and deliver the heat generated by El Nino fully to the Arctic. This is one reason why we’ve tended to see new record low years at the Nino +2 year timeframe. The likelihood of a new record low year for 2015 is low and would require an outlier event. More likely, we will see 2015 in the range of 3-5 lowest with a loss of the rebounds of 2013 and 2014. We watch out for 2016 and 2017 given recent trends and the ocean heat transport mechanism. But no guarantees with sea ice. Indeed there’s no guarantees as the Arctic is very much influenced by weather. But I also believe that if something unimaginable has happened before like the big melt of 2012 or the El Nino of 1998 or typhoon Haiyan, it’s much more likely to happen again in the future. Not that it matters much as they have no real effect on the long term trend (defending my self that I’m not an adventure seeker here). Also I’d like to mention what a fantastic blog you’ve got here. Keep it up! Well, the long term linear trend, if it holds, gets us to zero or near zero between 2020 and 2030. And we absolutely have risk of hitting near zero before then probably greatest risk during 2017 as I’ve mentioned on a number of previous occasions. Thanks for the kind words, Leo.